Every maker has a story. Be a part of AMusinGlass's story by placing an order, leaving a review, and seeing your review appear here. My heart bowls start with a bottom layer made from various colors of red, pink and white art glass. In some of the bowls, I use a copper mesh heart or flourish in the center of this bowl and they echo the shape of the bowl very nicely. 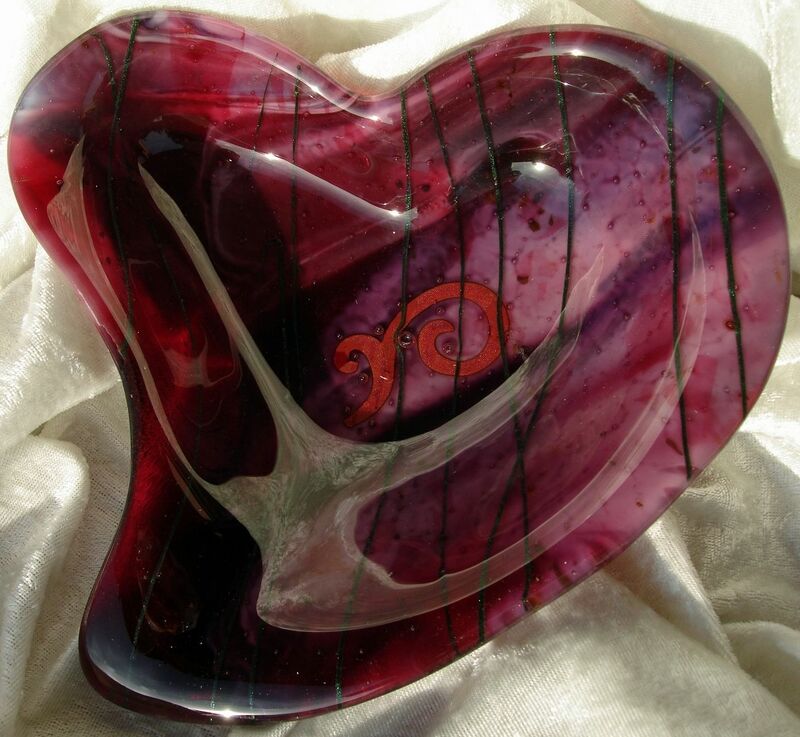 The top layer is made from clear art glass with bits of contrasting colored powdered glass and stringers (threads of glass). The finished bowls measure about 8" by 8" at their widest points and 1 1/2" deep. 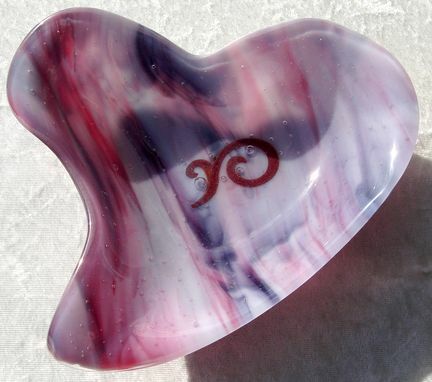 These bowls came about because I found a mold at one of my suppliers and I was intrigued by the swirly shape of the heart. 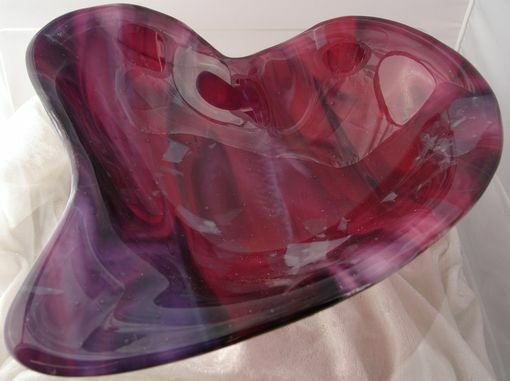 I was really curious how well the glass would take on all of the great curves and contours of the mold. Not even the copper mesh embellishments can keep the glass from fitting the shape smoothly and evenly. They make great Valentine's Day and anniversary presents!